Pete Warner of Bangor and Chris Lander of Orrington flank Teddy, an English cocker spaniel, during first extended bird hunting trip to Brassua Lake in Taunton and Rayham Academy Grant, Maine. 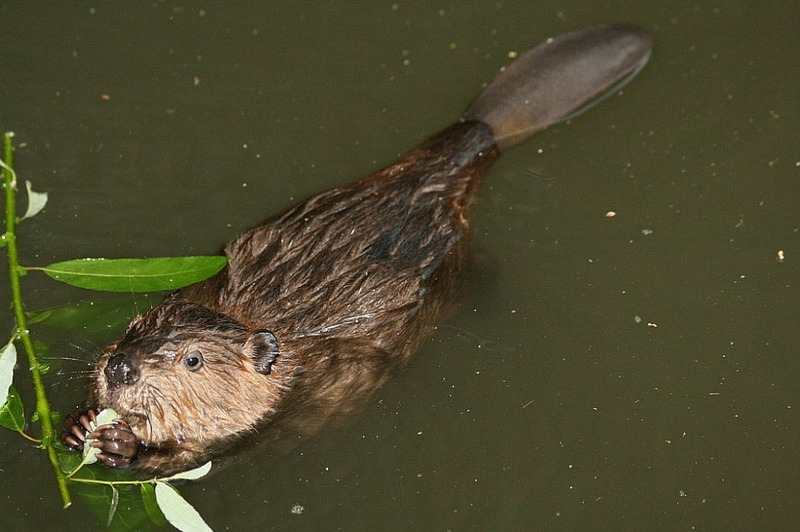 James Cote has been hunting and fishing for years, and enjoys spending time afield with his friends. Once a year, the Farmington man gets together on a fall “men’s weekend” during which his pals hunt for birds or fly fish for trout, and try to solve the world’s problems. 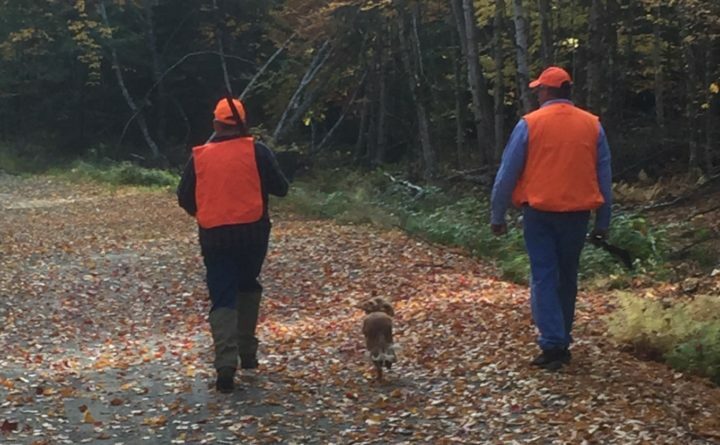 On one such journey into the woods near Rangeley, Cote’s buddies shared their opinion that the best of those trips took place when the opening day of upland bird hunting season — Oct. 1 — fell on a Friday or a Saturday. That meant that the boys would also be in camp for Sept. 30’s final day of fly fishing for brook trout on area waters. Unfortunately, that didn’t happen all that often. And Cote’s friends, knowing he was a lobbyist by trade, enlisted his help, knowing that they weren’t alone in the forest: Get us a yearly cast-and-blast weekend. Cote took on the cause as a labor of love, and earlier this week the bill he asked Sen. Russell Black to sponsor went before the Legislature’s joint standing committee on inland fisheries and wildlife. Cote’s solution is stunningly simple. “What this bill would do is actually start the upland bird season on the last Saturday of September, which would typically guarantee that every year there would be a cast-and-blast weekend,” Cote explained. According to Cote’s original plan, the opening day of bird season would be treated much as Youth Deer Day is — a stand-alone Saturday that would then be followed by a traditional opening day whenever Oct. 1 fell. But after listening to testimony in the hearing room, he said he thinks hunters might be able to benefit even more than that. Officially, the DIF&W testified neither for nor against the bill, but Cote said he was encouraged by the department’s willingness to listen and participate. In fact, he thinks that an amended bill calling for an earlier start to bird season each year may emerge from a work session on the bill. How important could that bill be? Well, consider this: Over the next 10 years, the criteria for one of Cote’s naturally occurring cast-and-blast weekends, with Sept. 30 falling on either a Thursday or a Friday, will occur only three times. Sunday hunting is not allowed in Maine, so on those cast-and-blast weekends, Sundays would be reserved for fishing, puttering around camp or traveling back home. Cote, who has worked as an advocate for Maine sportsmen for years, said that while his friends helped spur him into action, the bill is not a selfish one. In fact, it could be good for businesses as well. And for that matter, the BDN would love to hear what you have to say on the matter, too, and we may write a follow-up story to share your thoughts. You can reach me in the comments section, or at the email address below.